I’ll be at the Portland Art Museum next Thursday doing a talk about a photograph from the Museum’s Permanent Collection. This is part of the Artist Talks and Happy Hour Lecture series. Seating is very limited. You can reserve a space here. 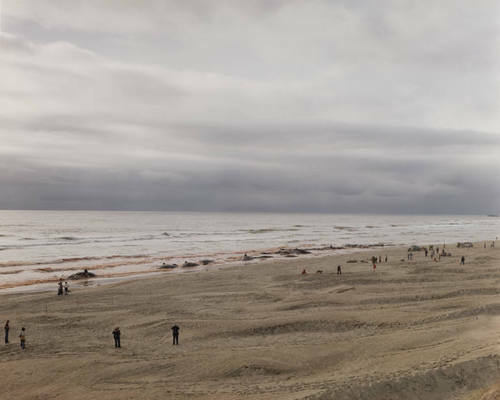 I’ve chosen a Joel Sternfeld photograph from 1979 entitled “Approximately 17 of 41 Sperm Whales that Beached and Subsequently Died, Florence, Oregon” . This entry was posted in Awards/ Honors, Press Reports and tagged animal, art, corey arnold, death, disaster, joel sternfeld, lecture, museum, natural, PAM, photograph, photography, portland, whales, whaling.